Woohoo! Finally caught up on my reading challenge, so I’m back on track now! This was book 5 out of 100, it’s been hard so far, so I don’t know if I’ll be able to keep it up all year! In my last post, I speculated that I thought this book would be about Becca Whitley or Deedra Dean. Turns out I was kind of right on both counts. Deedra was found dead by Lily right at the start of the book. All the way through the book, we were lead to believe that it was the sheriff’s brother that was guilty of the murder, but in a shocking twist at the end, we found out that Becca Whitley was not actually Becca Whitley, just someone pretending to be her in order to claim inheritance from a rich family member. Deedra had figured her out, so ‘Becca’ killed her to keep her quiet. I also wondered about what would happen with Lily’s relationship with Jack. I was pleased to find out that they have agreed to move in together, and that they will be staying in the town of Shakespeare rather than moving to Little Rock. I guess a move would kind of throw off the book title for the last in the series! I really enjoyed the book, although I do wish it was a bit longer. There seems to be a lot of build up throughout the book, and then murder seems to be solved very quickly and the book is over before you know it. 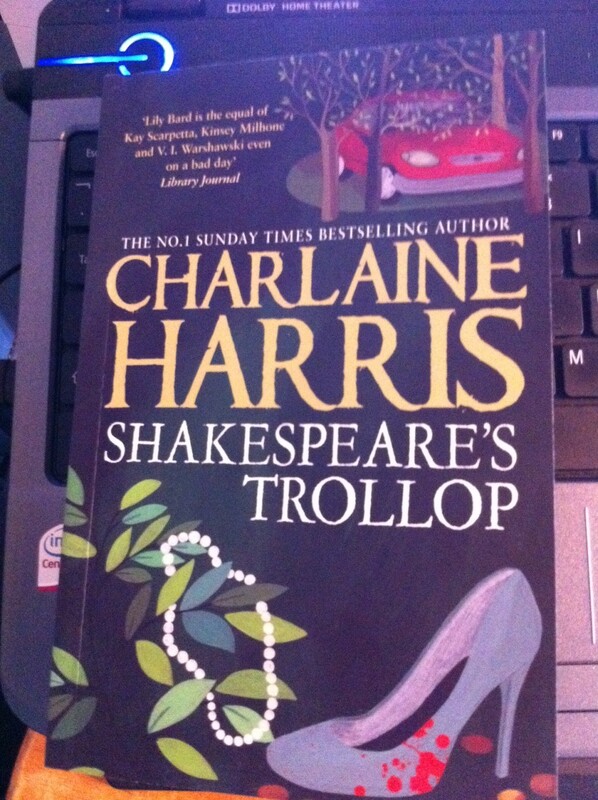 Still another great book from Charlaine Harris though!